I grew up in a family that was big on picture-taking, and I’m so grateful for that because I love reliving old memories through the thousands of albums and frames that my parents keep around their house. I naturally took after my dad in this area, and am the official photographer, editor, album-maker, blogger in our household…..all in hopes that we can preserve the beautiful memories of our family for Bridgette and future generations to come. Therefore, after my wedding season ended this year, I decided to collaborate with a few of my industry friends to do a styled photoshoot for Brianne and Bridgette. They are growing up at the blink of an eye, and I really wanted to capture their playfulness and innocence on film. We had about 2 weeks to plan this shoot, as our photographer, Lisa Lefkowitz, was nearing her pregnancy due date and ready to pop any minute! 🙂 I wanted to involve the girls during the planning, so they understood what it meant to be a model. For the past few months, Bridgette’s aspiration was to be a “fashion girl” and “rock star” when she grew up. I wanted her to know that behind the glamour that she sees, there are also a whole lot of sweat and tears! I took the girls to several different fittings around town, trying on a ton of different outfits, including shoes and accessories. In the beginning, it was fun for them, but they slowly saw how tiring it was. I reminded them that this was all a part of a “fashion girl’s” job. 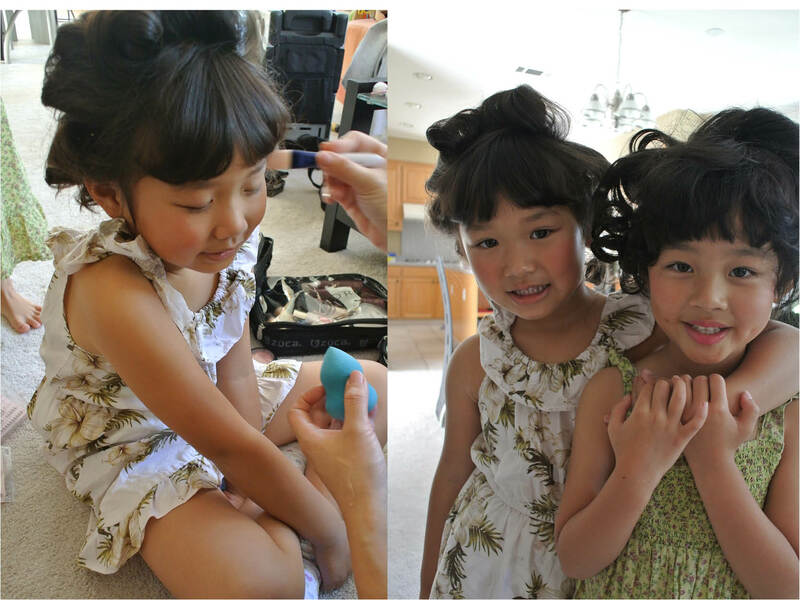 Their favorite part–getting dolled up! Thank you Lisa, Andrew, Gloria, and Joey for your collaboration on this special project!! For those that wonder, the wardrobe from Spring Picnic is from Zara. Picnic blanket is a Scallop Voile Quilt in petal pink from Restoration Hardware Baby & Child, the antique floral shams are also from the same place. The mint and coral crinkled wheel sets are from BHLDN. The petite cake stands, ice cream bowls, and teacups with saucers are from Rosanna, Inc. As for the sweets, we got the mini cupcakes from Kara’s, the macarons from Chantal Guillon in Hayes Valley, and the pink rosettes from Miette. 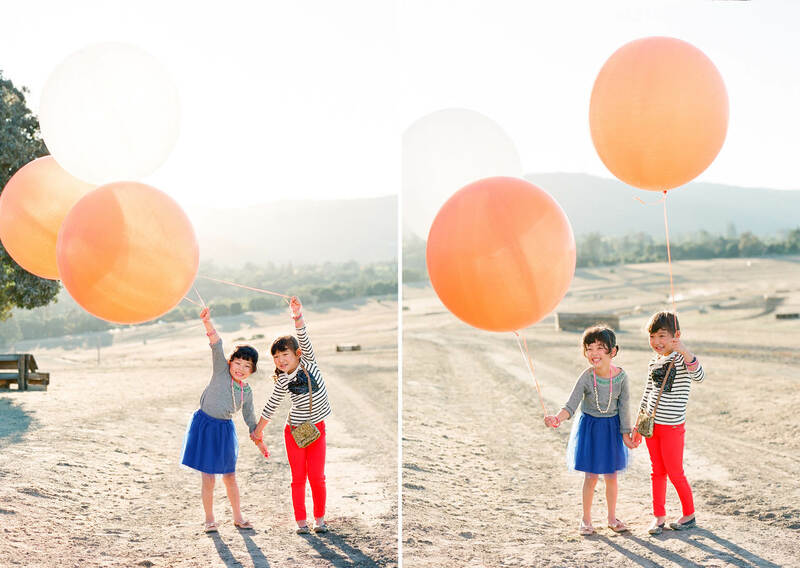 Their Candy Pop wardrobe was from J Crew, the swirly pops were from Miette, and the giant balloons were from Diddam’s. 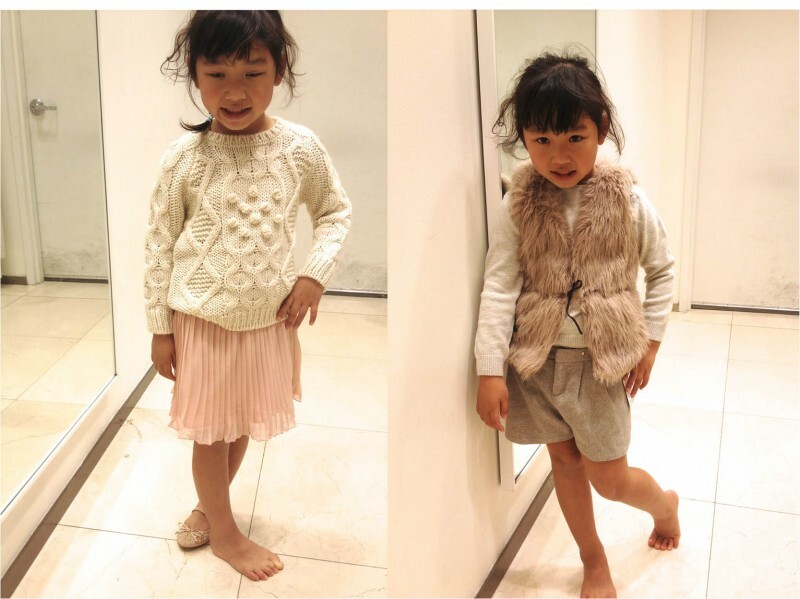 Fall Dress Up: A tribute to the girls’ love for fashion and dress up at this age! The Fall Dress Up wardrobe was from Zara, vanity and coat tree from Pottery Barn Kids, hats from Nordstrom, jewelry bowls from Anthropologie. Previous PostApple Hill, Part III.